The origin of cognac dates back to the 16th century when Dutch settlers came to the Cognac region of French to purchase salt, wood, and wine. However, preserving the wines on the journey back to Holland proved difficult and was solved by distilling the wine into eau-de-vie. It was eventually realized that giving the eau-de-vie a second distillation vastly improved the product, making it finer, more elegant and pleasant. This is the birth of brandy, the word coming from the Dutch word “brandewijn” which means burnt wine. 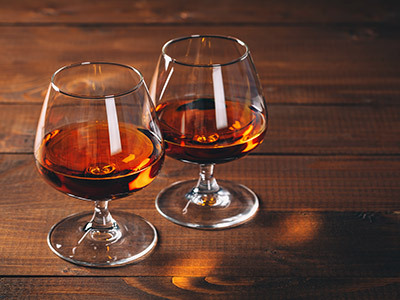 While brandy is made all over the world, only brandy made in the Cognac region of France, and under the strictest guidelines, can be called “cognac.” The Cognac region stretches over two regions in western France, Charente (inland) and Charente-Maritime (bordering the Atlantic Ocean). Prior to the Phylloxera crisis of the 1870’s that affected the whole of Europe, folle blanche was the dominant grape variety used for cognac. 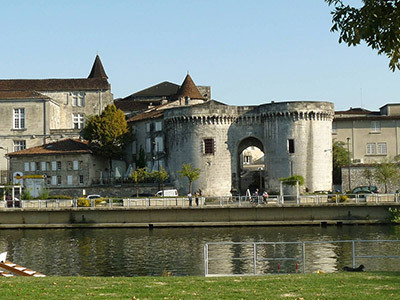 After the crisis, the vineyards of the Cognac region were replanted with ugni blanc mainly because of its high acidity levels, discreet aromas, and resistance to infection. To this day ugni blanc remains the dominant variety used to make cognac as it is usually 95% of the blend, the rest made up with mostly folle blanche and colombard. The ugni blanc grape is thought to have originated in the eastern Mediterranean and was known in Italy in Roman times as trebbiano from where it is believed to have made its way to France, possibly during the papal retreat to Avignon in the 14th century. 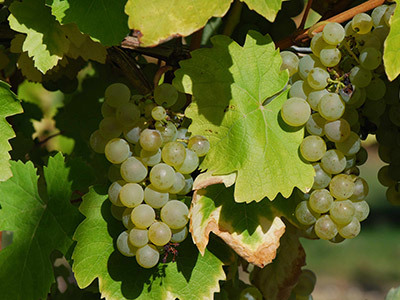 The ugni blanc grape is the most widely planted white wine grape of France, being found particularly along the Provençal coast, in the Gironde, and the Charente. It is very dry, acidic, and thin, and while most of the resulting table wine from this grape is unremarkable at best, it is an excellent wine for distilling and aging. The vine is vigorous and high-yielding, with long cylindrical bunches of tough-skinned berries. Cognac enjoys a strictly regulated production process that must be adhered to in order for the resulting product to be denominated as cognac. It starts with the pressing of the white grapes and the fermenting of the white grape juice for 10 days. The resulting white wine is highly acidic and very fruity with low alcohol content and is an ideal starting point for creating a fine cognac. 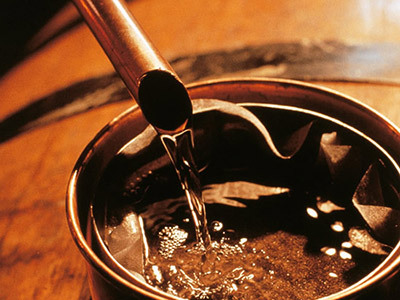 Cognac can only be distilled in an “alambic charentais”, an onion-head shaped copper pot-still that has been in use in the Cognac region for more than 400 years. During the first distillation the white wine is boiled and the alcohol vapors are released, cutting off the “head” and “tail” which are the most and the least volatile components. In the second distillation, otherwise called “la bonne chauffe”, the result of the first distillation is boiled to cut off once again the “head” and “tail” in order to produce the “heart” which is otherwise the crystal clear liquid eau-de-vie. This is then poured into oak barrels and aged. Cognacs require a minimum of two years of aging. The longer the cognac ages the more aromas and complexity it develops. J.A.B. Ugni Blanc Cognac is a blend of cognacs aged for a minimum of 10 years in French limousin oak casks earning it a BINC quality grade of XO. To fully enjoy J.A.B. 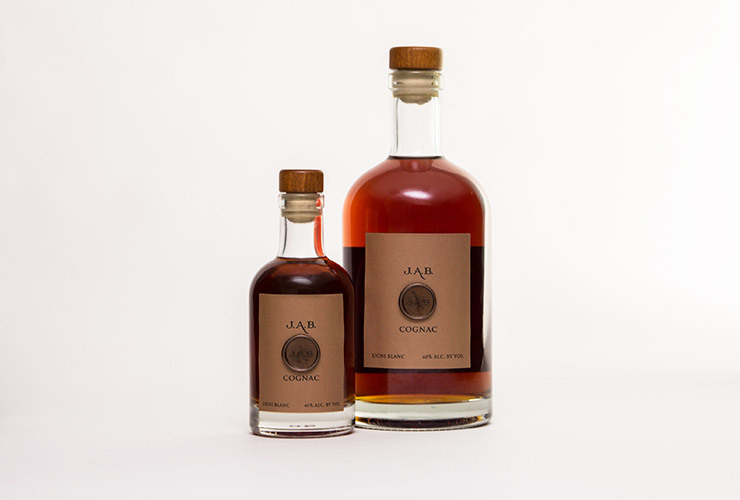 Ugni Blanc cognac try it neat in a large snifter at room temperature while your hands gently warm the glass allowing the spirit to release highly delicate notes you would not otherwise notice. In this way you will find a full-fledged cognac bouquet, a complex mellow nose, and a velvety balance on the palate with hints of dried fruit and notes of hazelnuts backed by a rich and harmonious texture.